For the next two days, the center of the introverted, underground-rock world will leap from hipster blogs and snarky music websites to a real-world stage in western Wisconsin as the inaugural Eaux Claires Music & Arts Festival begins on Friday in Eau Claire. 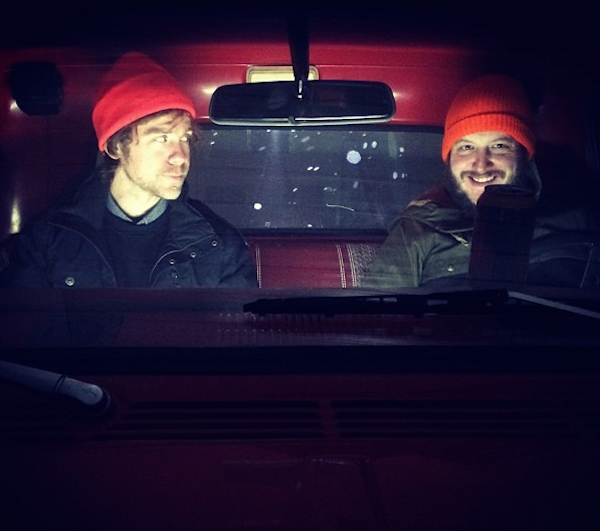 The festival, running Friday and Saturday, is the brainchild of Bon Iver leader (and Eau Claire native) Justin Vernon and the National guitarist Aaron Dessner. And while the event’s lineup offers an excellent mix of quasi-familiar names and very worthy new discoveries for attendees, Eaux Claires will give a rare opportunity for many musical luminaries from Wisconsin and Minnesota to shine in a national spotlight. While indie rock often remains an insular community, the festival’s potential draw is significant. One media report said that more than 20,000 concert go-ers are expected to attend. “To finally see it come together, and to imagine the music, art and community the festival will bring together, is very exciting,” Dessner concurred in a separate statement. With that in mind, Vernon and Dessner sought a roster of performers that paid homage to the influences and musical preferences of its founders. In that way, the Eaux Claires festival appears very personal, offering a unique kind of narrative of the pair’s (particularly, Vernon’s) tastes and sensibilities. The duo also sought out musical touchstones like the Indigo Girls (purportedly playing Vernon’s favorite album, “Swamp Ophelia,” in its entirety) and gospel troupe the Blind Boys of Alabama (whom Vernon has been producing), as well as emerging performers like maverick country singer Sturgill Simpson, alt-country trio the Lone Bellow, latter-day soulman Charles Bradley, hip-hop-influenced horn outfit No BS! Brass Band and EDM’s rising star Boys Noize. But, many of these are names that can be found tucked into the summer music festivals that sprout up around the country during the outdoor concert season (maybe more Pitchfork or Austin City Limits than Bonnaroo). What makes Eaux Claires truly distinct is how Vernon’s guiding hand peopled the festival lineup with his friends and musical neighbors, drawing performers from the Twin Cities (singer-songwriter Haley Bonar, hip-hop collective Doomtree, soundscape-pop of Aero Flynn) and Duluth (the aforementioned Low and frontman Alan Sparhawk’s secondary gig, the Neil Young-ian Retribution Gospel Choir) as well as acts from Eau Claire (singer-songwriter S. Carey), Madison (indie-pop Phox ) and Milwaukee (neo-folkie Field Report, among others). These musicians aren’t only linked geographically, but sometimes personally to Vernon. His current and former associates are among those getting prime slots in the festival stage. S. Carey (AKA Sean Carey of Bon Iver) will likely be performing material from his handful albums, while Chris Rosenau and Jon Mueller (Vernon’s bandmates in ongoing side project, Volcano Choir, and sometime members of Milwaukee group Collections of Colonies of Bees) will each have solo sets. Other musicians have links to Vernon’s past. Field Report’s Chris Porterfield played with Vernon in the defunct DeYarmond Edison and Aero Flynn’s Josh Scott was another contemporary in the Eau Claire scene during the ’00s. Thus, it’s still incongruent that Vernon has chosen to dream up this event and mold it into such a intimate reflection of his own aesthetics while he’s in the midst of a kind of retreat from fame. In 2011, he essentially parked Bon Iver at the height of the group’s popularity and has remained relatively quiet. Although he has busied himself in the intervening years with other side bands — many of which tasked him more as a band member than as the group’s sonic svengali — or production work for other artists (most famously collaborating with Kanye West). Questions remain: Why reemerge now? And why this way? Vernon is obviously keen to share whatever the spotlight surrounds him with those other performers whom he feels deserve wider recognition. He’s also shown a very admirable desire to pay a service to his hometown by drawing a bearded throng of musicheads to the community. Perhaps, if it all goes according to plan, the Eaux Claires festival could serve as the needed springboard for many artists looking to follow in Bon Iver’s footsteps. And that might be what Vernon wants in more ways than one. Local tourism site VisitEauClaire.com has a compilation of lodging options, including hotels and camping. Several major newspapers in Wisconsin and Minnesota have offered behind-the-scenes previews of the festival. The Milwaukee Journal Sentinel, the Minneapolis Star Tribune, the St. Paul Pioneer Press and The Capital Times of Madison have each fielded stories in recent days about Eaux Claires. Vernon gave his most substantive interview last week to Grantland, where he revealed more about his motivations and aspirations for the festival, his thoughts on his success thus far and his current frame of mind in terms of his own musical endeavors. Vernon also talked about preparing the festival, fame and feminism in an interview with Elle magazine. The Eau Claire Leader-Telegram and WQOW-TV ran stories this week about the limited parking at the festival and the shuttle system being organized to transport the concert go-ers. WEAU-TV ran a story on Tuesday about how the festival has hired students from several area universities to assist with the setup, including “production, lighting, and staging teams.” Students from the University of Wisconsin-Eau Claire, as well as UW-Stout, UW-River Falls, UW-La Crosse, UW-Platteville and UW-Madison are helping. In Spotify, several playlists compile songs from many of the performers who’ll grace the festival stage. Listen to these samplings here, here, here, here, here, here, here and here. In related news, Vernon has made headlines last month he issued a series of tweets that chided Apple for losing its edge in the innovation department, specifically with iTunes and its new streaming service Apple Music, while praising rival streamer Spotify. Tags: Aero Flynn, Blind Boys of Alabama, Bon Iver, Boys Noize, Charles Bradley, Doomtree, Eau Claire, Eaux Claires, Eaux Claires Music & Arts Festival, Festival, Field Report, Haley Bonar, Indigo Girls, Justin Vernon, Low, music, No BS! Brass Band, Phox, Retribution Gospel Choir, S. Carey, Spoon, Sturgill Simpson, Sufjan Stevens, the Lone Bellow, The National. Bookmark the permalink.